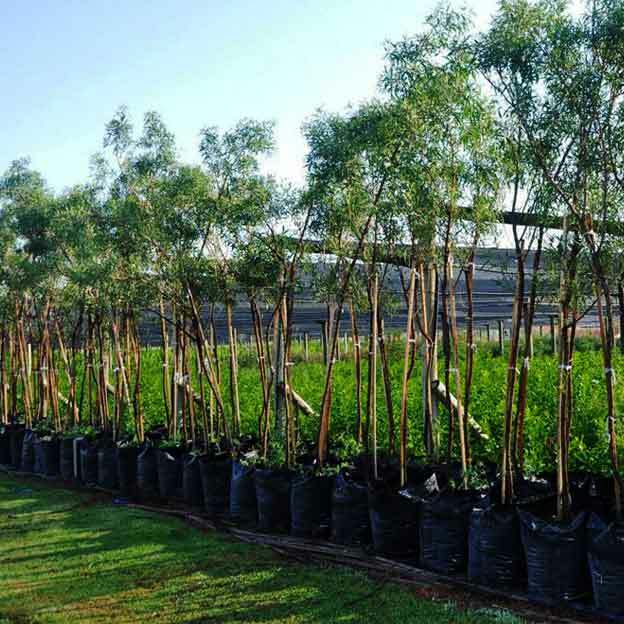 We are prepared to replace every tree we remove from your garden with with one of our indigenous trees species from our stock, at minimal cost. It is what we call tree-cycling! As our natural environment comes under increasing pressure, the cultivation of native plants in gardens and public places becomes more and more important for conserving our precious wildlife. We rarely give much thought to the significance of trees in our lives; in fact, we tend to take them completely for granted. Trees, however, are a vital and nurturing force. They sustain our environment, provide us with medicines, and inspire myths and stories. If you try to imagine our world without trees, then you start to appreciate just how important they are to all of us. Trees absorb harmful chemicals, such as carbon monoxide and Sulphur Dioxide and in turn produce oxygen. Furthermore, they filter and trap pollutants and toxic particles, cleansing the air in the process. On a global scale, trees maintain our environment in ways that we are just beginning to understand. By absorbing massive amounts of carbon dioxide from our atmosphere, trees and plants help to mitigate the devastating effects of global warming. The myriad fungi, insects, birds and animals of Johannesburg and Pretoria have evolved alongside our indigenous trees and shrubs for millennia, and without the food and shelter these provide they would not survive. Indigenous trees and shrubs are the essence of regional identity and help to preserve the character of the countryside. They are adapted to local soils and climate, so generally have lower maintenance requirements. In addition, many will grow in difficult areas of the garden, with little or no fertilizer.